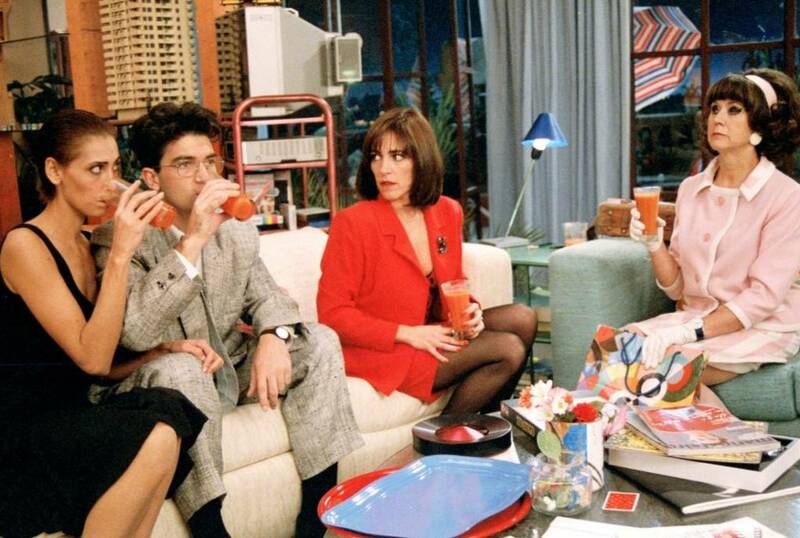 Melding melodrama with screwball farce, Women on the Verge of a Nervous Breakdown was Pedro Almodóvar’s international breakthrough and secured his place at the vanguard of modern European cinema. Starring frequent Almodóvar collaborators Carmen Maura and Antonio Banderas, this unimpeachable black comedy was nominated for Best Foreign Language Film at the Academy Awards and won five Goyas in Spain, including Best Film and Best Actress in a Leading Role for Maura. With Almodóvar’s trademark playful exploration of the female psyche, the film tells the story of Pepa (Maura) who resolves to kill herself with a batch of sleeping-pill-laced gazpacho after her lover leaves her. Fortunately, she is interrupted by a deliciously chaotic series of events – and many characters who are all possibly on the verge of a full emotional collapse. A tale of the volatility of sexual desire and the anxieties of romantic relationships, but also the possibilities for personal liberation, Women on the Verge of Nervous Breakdown oozes with Almodovar’s unique vision, irreverent humour and vibrant visual sense. With an exceptional ensemble cast that also includes Rossy de Palma, this film is the work of an artist in total control of his craft. Farce isn’t easy to pull off, but Mr. Almodovar is well on his way to mastering this most difficult of all screen genres.